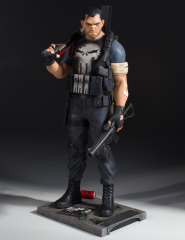 Frank Castle aka The Punisher has seen the worst this world has to offer and he has made it his mission to end it. 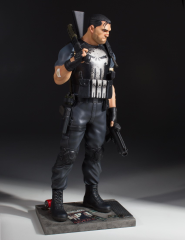 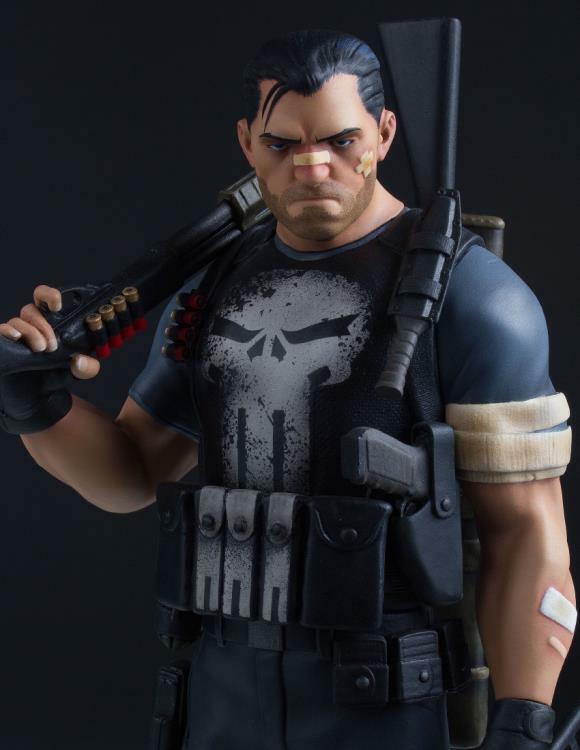 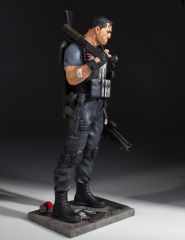 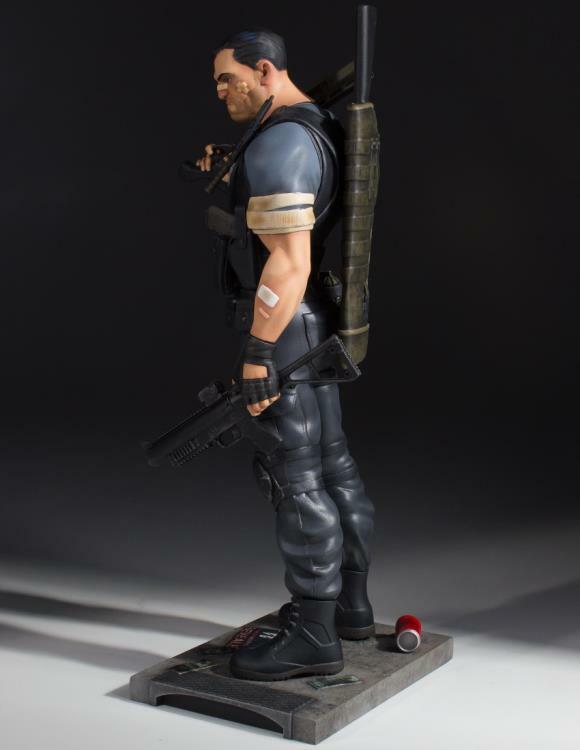 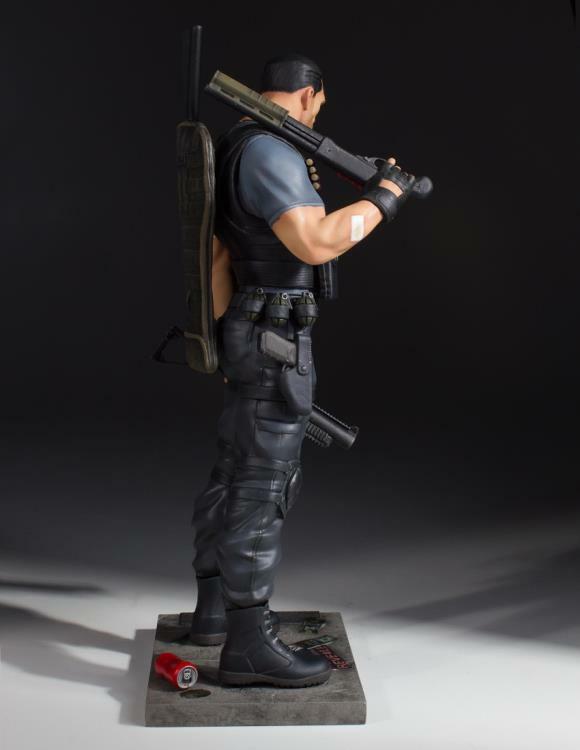 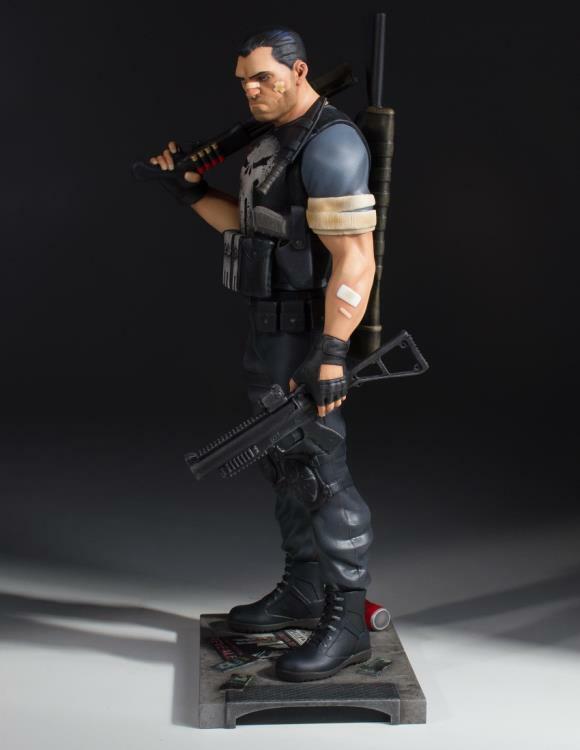 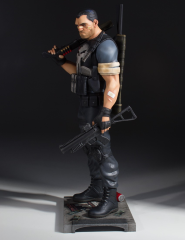 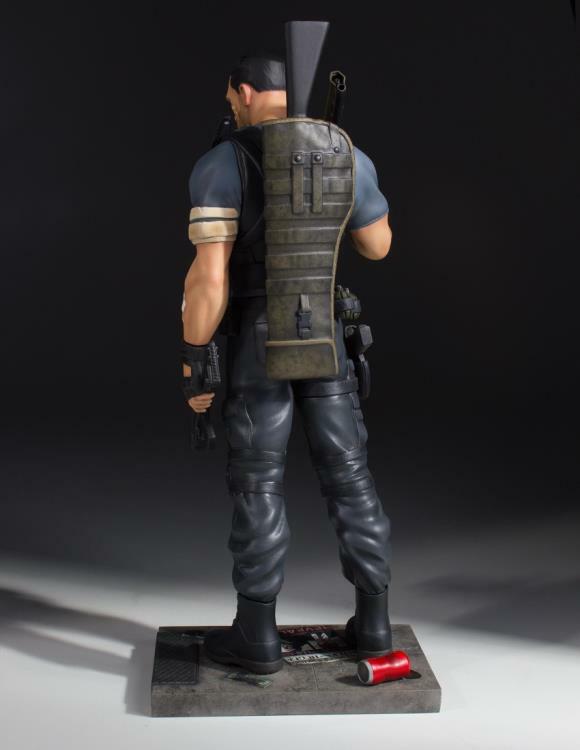 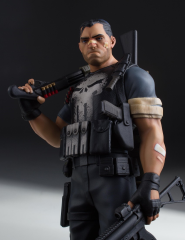 Armed to the teeth, this new Collector’s Gallery statue shows the world weary Punisher between missions as a one-man-army. It is clear from his look that a battle has gone on before and he is now prepared to settle that score. 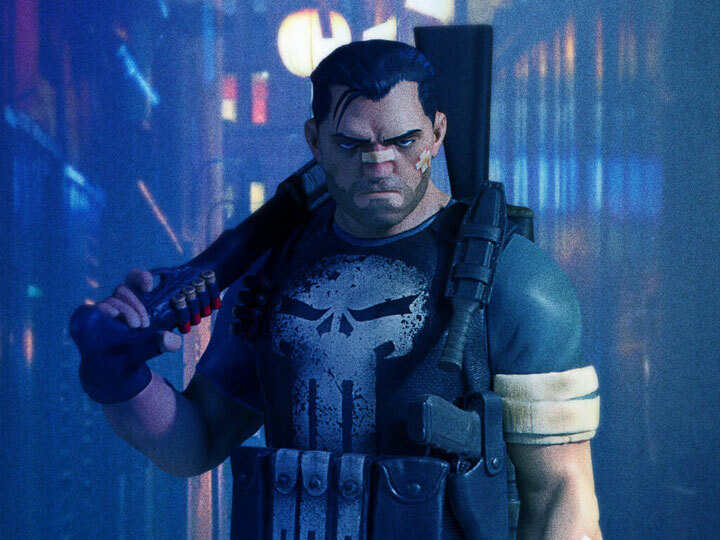 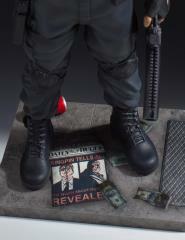 The Punisher Collector’s Gallery Statue has been digitally sculpted down the minutest detail, and hand-painted by the amazing artisans of Gentle Giant Studios. This 1/8 scale statue of The Punisher is the 5th in the Marvel Collector’s Gallery statue line and comes numbered with a certificate of authenticity.